Handmade footwear company based in Bristol, U.K.
Ottowin Footwear was founded by couple Lucy Lloyd & Oliver Cross in 2016. Born out of a love for traditional footwear craft, contemporary design and a great respect for their chosen material, Leather. 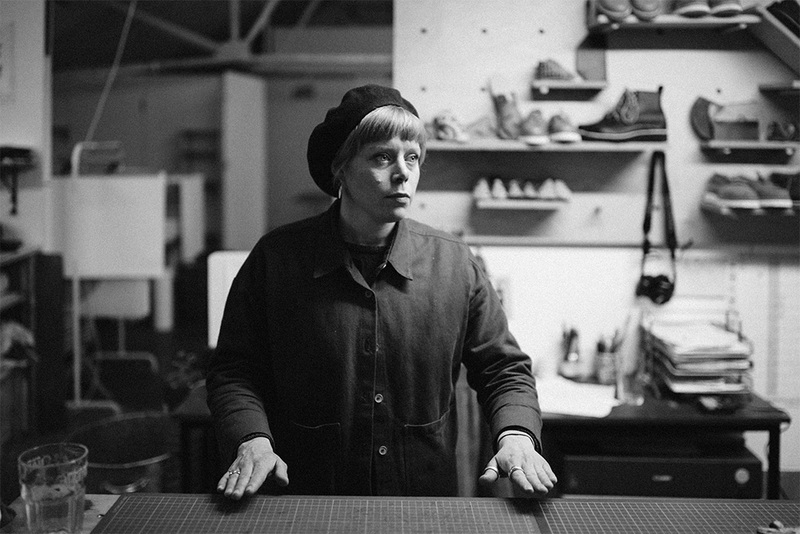 All of our footwear is made by Lucy & Ollie in limited editions at the Ottowin Studio, Bristol, UK. Our designs draw influence from traditional, wearable, everyday styles. We use colour in complimentary and contrasting ways to lighten the tone of our footwear, creating playful collections that can easily be worn with a range of styles. Ottowin make long lasting luxury products with the highest quality leather that age beautifully with wear. Starting this brand has given us to platform to actively promote and provide customers with a 'slow fashion' option. Using our knowledge of materials to inform our decisions, from design, selection and craftsmanship. The opposite to a production line, each pair is has been on a journey from raw material to a stamped and signed Ottowin shoe. This complete engagement in the making process creates a highly personal product, which we hope carries through from us to you. We hope to build long-term relationships with our customers and promote an appreciation for slow production, which starts at your feet and grows to change societies consumption. After studying at Cordwainers, London College of Fashion Lucy went on to work for independent footwear company F-troupe, where she was head designer and managed overseas production and logistics for 3 years. Lucy gained amazing experience in the industry, but also became disenfranchised with the scale, method of production and high turn over of styles, typical of globalised manufacturing, creating an enormous amount of waste. This experience was part of the catalyst for founding Ottowin, in which both Lucy & Oliver share the belief and can actively promote small scale slow fashion. Oliver comes from a Fine Art and Design back ground. After graduating from university he formed a collective along with 10 friends and founded an artist-led studio, workshop and gallery space. A successful art space, it has been host to many artist and musicians, as well as being the place where they continue to run Ottowin from. Without the freedom of the creative space and support from the artist network that it has developed, Ottowin would not have been a possibility. The evolving space and encouraging atmosphere of Loft 6D studios has provided a hot bed of ideas and has pushed both Ollie and Lucy to follow their combined passion.